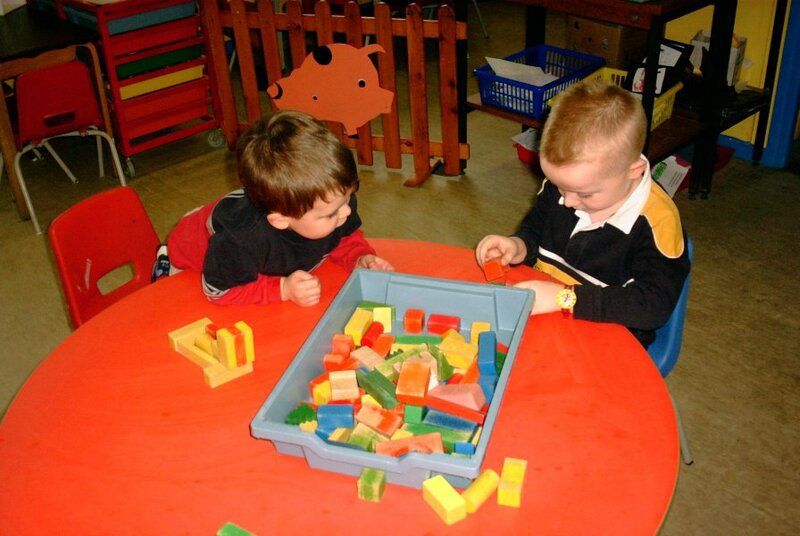 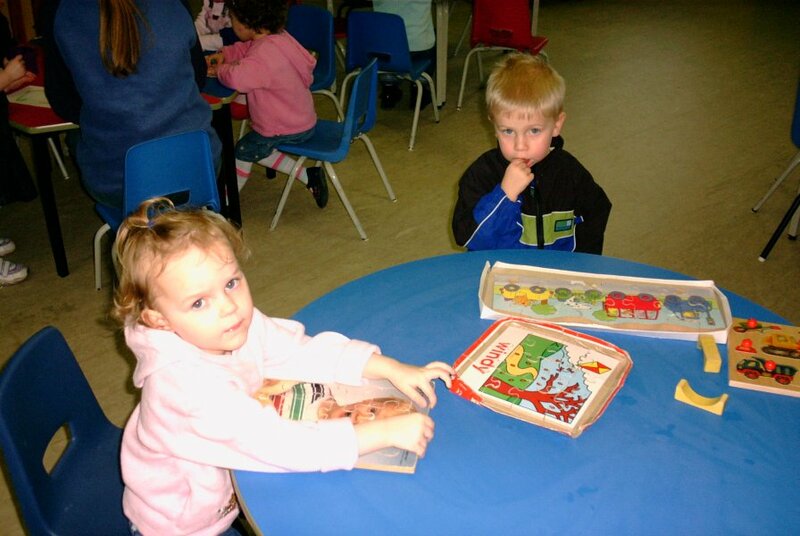 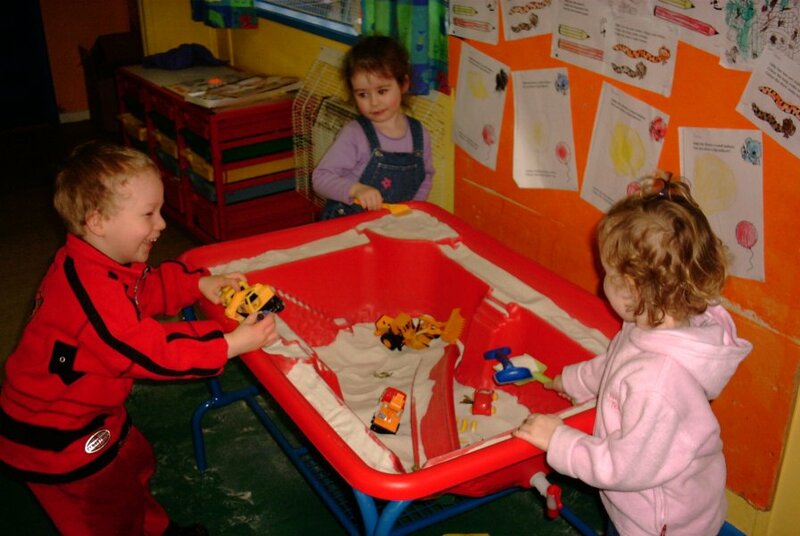 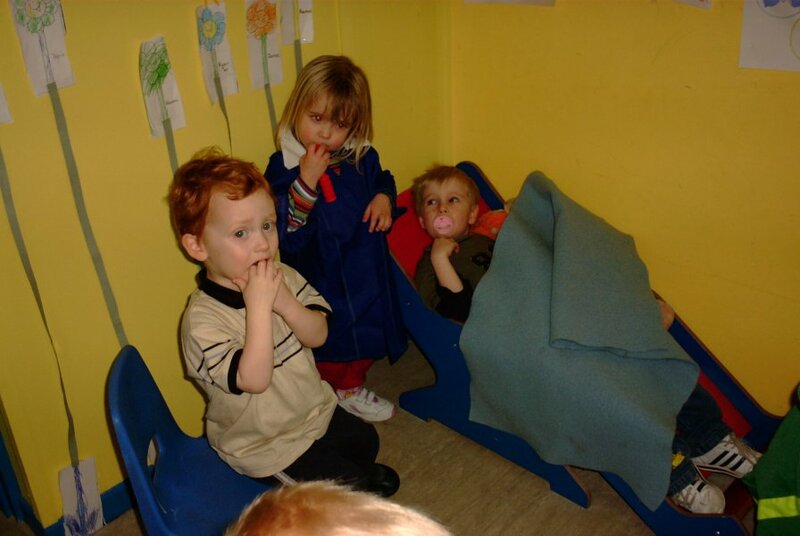 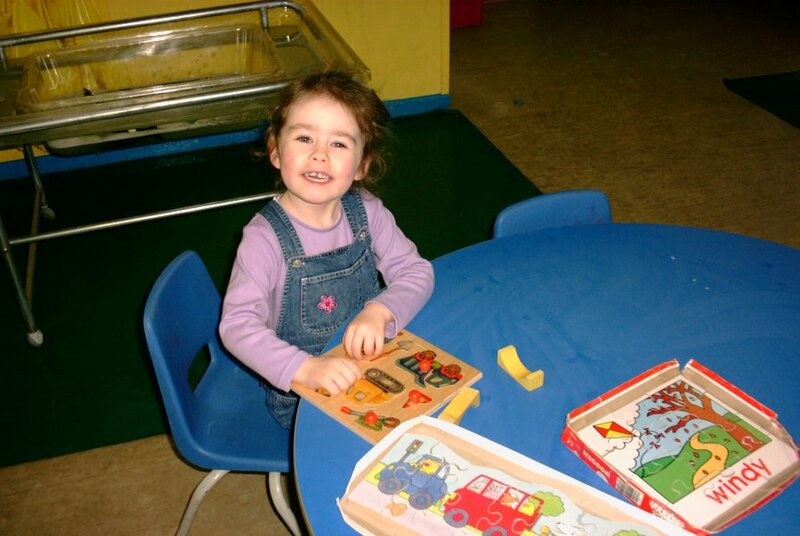 In playgroup there are lots of things to do. 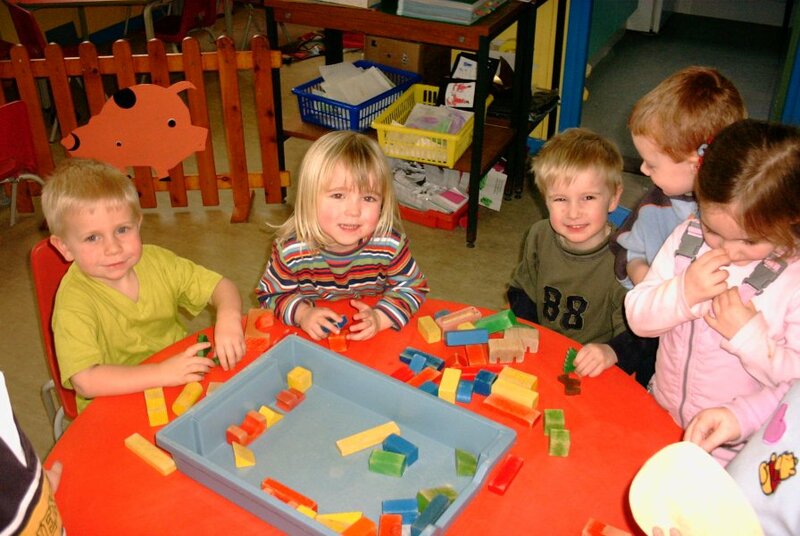 Now what can I make next with the blocks? 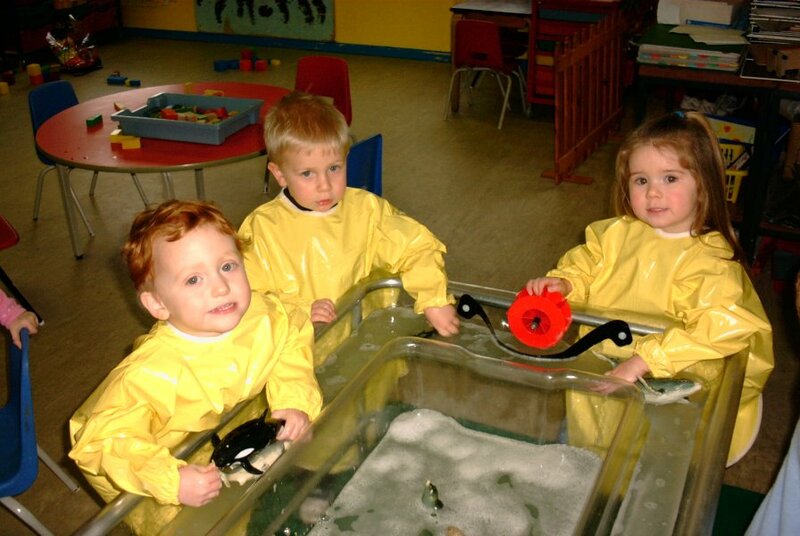 We have to wear our yellow aprons to keep us dry when we play in the water tray. 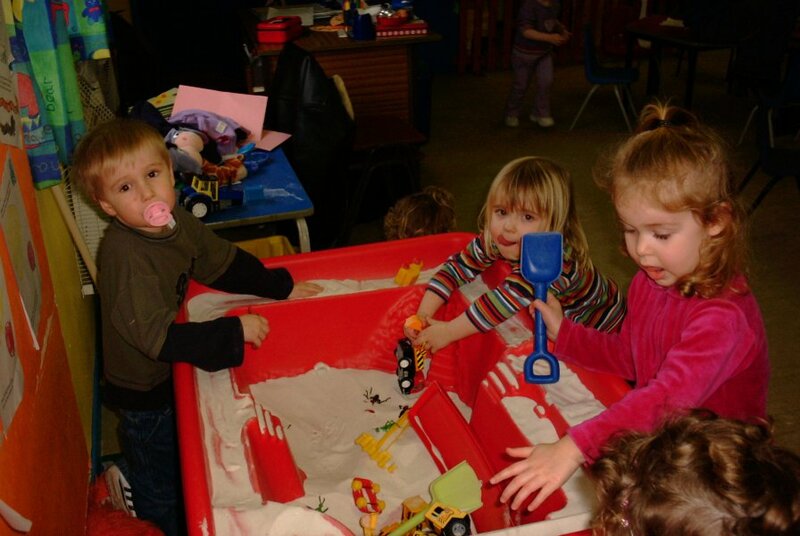 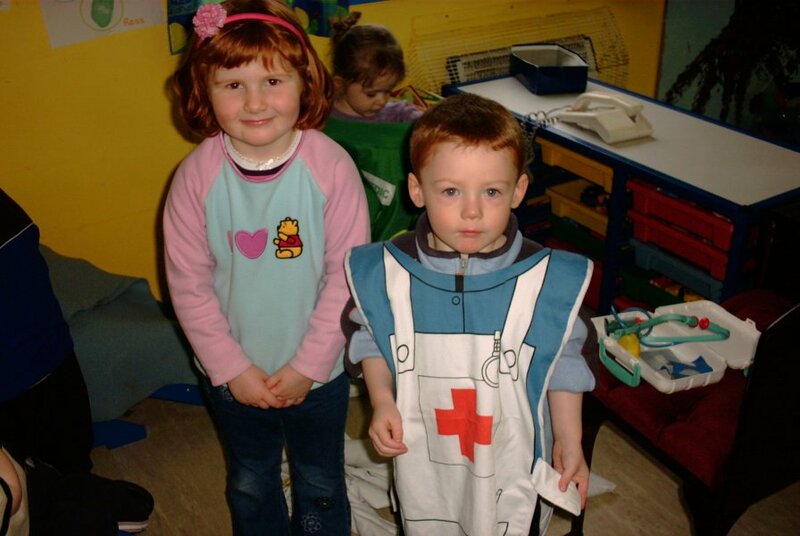 We can play in the hospital corner.